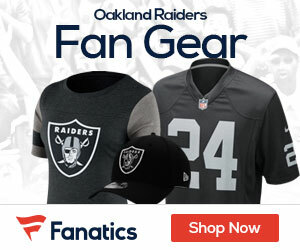 The Raiders beat the Chiefs in OT on Sunday, and this week, they will be scoreboard watching – and rooting for the very team they beat this past week. The playoff path for the Raiders is a pretty simple one. 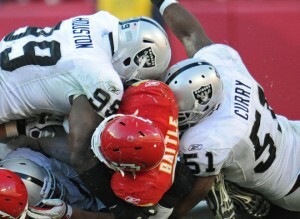 Beat the Chargers Sunday and the Chiefs beat the Broncos, your the AFC West champs. Otherwise, your sitting at home and looking forward to the 2012 season. Hue Jackson says for now, let’s just worry about beating the Bolts, a team that up until last weeks blowout loss to the Lions had been playing very good football. 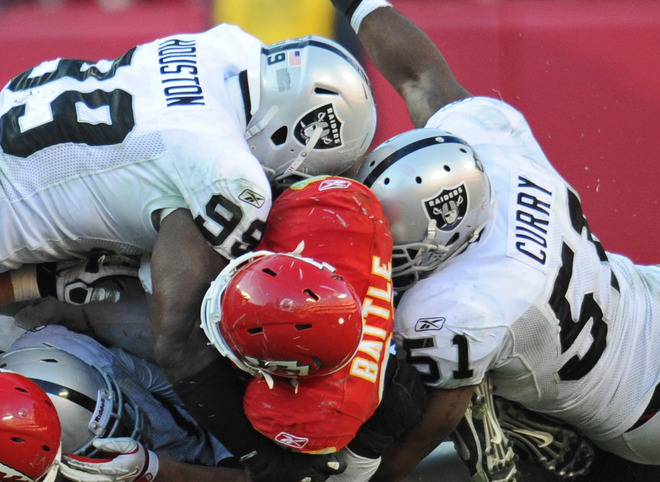 Being in the playoff race is a refreshing change for the Raiders, as in the past decade playing for a playoff spot in week 17 was never in the cards for the silver and black. It starts with that. If they can beat the Bolts, they will have done all they could to try and make the postseason. A loss to San Diego, and the Raiders don’t deserve to be in the mix for the NFL’s second season.